Many of you have been following the progress of the various RD Sport "Stroker Motor" projects (seen here), and others may not have heard of it at all. For those who haven't, the RD Sport "RS-46" stroker motor is much more than a larger displacement version of the BMW M3 V8 4.0L motor. The RS-46 is a complete turn-key motor, headers, exhaust, ECU-tune, including installation. 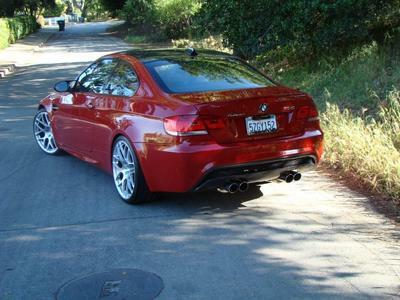 The RS-46 motor begins life as your 4.0L motor in the 2008+ BMW M3. RD Sport removes your original motor, then creates a custom made crankshaft, connecting rods, and pistons. The block is bored. The crankshaft and connecting rods are custom-made from billet steel. The pistons are custom-made by Mahle, the original BMW piston manufacturer, and made to the original OEM specifications. The cylinder head is lightly reworked to blend the combustion chamber with the larger bore -- in addition to other changes kept secret by RD Sport. Once the motor is reassembled, new TRI-Y headers are installed (in your choice of 40mm or 42mm diameter tubing), along with the RD Sport "Stroker Motor" exhaust. Once the motor is reinstalled, it must be broken in properly. I was under strict instructions not to exceed 5000 RPMs, not to drive at full throttle, and not to stay at a single RPM range for more than five minutes. To comply with these instructions, I drove the car from Los Angeles to Las Vegas and back (to/from M-Fest). During the drive, I (mostly) obeyed these strict instructions. Of course I wanted to find out how much power the motor had, and for all but two or three very short excursions above 5000 RPMs, I complied with the instructions. (I know the guys at RD Sport don't believe it, but I really did keep it under 5000 RPMs for all but three or four quick occasions.) Every few minutes, I shifted gears -- up, up, down, down, making sure I wasn't staying in any RPM range for too long. As one would expect with a longer stroke, the redline (the location where MaxHP occurs) is reduced. The original motor redlines between 8150-8300 RPMs, whereas the RS-46 reaches MaxHP near 7700 RPMs. The motor still revs effortlessly to 8400 RPMs, but there's no point in doing so because MaxHP is reached at 7700 RPMs and the torque is dropping rapidly after that point. The RS-46 is a powerful motor. Torque increased 108 ft/lbs over stock, and horsepower increased 118 over stock. The torque band doesn't appear to be as flat as the factory motor, but in reality it's actually much more drivable. The torque comes on early, and doesn't peak until nearly 5000 RPMs. 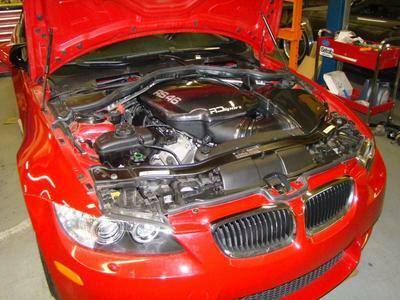 The torque starts to drop significantly at 7000 RPMs -- just like the factor BMW motor. The factory motor peaks torque at 4000 instead of 5000 RPMs, and also stays mostly flat until 7000 RPMs. Driving around town is effortless. On the normal throttle mapping, a simple slip of the clutch followed by smooth acceleration will thrust the car effortlessly up to driving speeds. In spite of the enormous amount of torque, driving normal is easy. When you want to accelerate, pressing the throttle even slightly will open up that motor to begin accelerating at a very fast pace. Regardless, the RS-46 is no more difficult to drive around town, than the original motor. Highway driving is equally effortless. The increased torque of the RS-46 means you can depress the throttle in any gear, at any RPM and get instant acceleration. It doesn't matter if you're going up mountain road, the RS-46 motor will pull this car and maintain speed (any speed) all the way up a steep incline. It's especially fun to drive up a big hill (like Grapevine near Los Angeles), and leave all of the other cars in the dust -- even the cars trying to keep up with you. If you're looking for rapid acceleration, then the RS-46 will give you everything you expected...and more. The RS-46 has so much more power, such that the limited slip differential seems to hunt for a straight line when accelerating at full throttle in first, second, and half-way through third gears. The same situation even occurs in M-Dynamic mode. In fact for spirited driving on twisty roads or around corners, all of the traction control get in the way because the RS-46 pushes traction beyond their limits, and the traction control ends up "kicking in" to save you. It seems like the only way to really control this car without the computers trying to save you, is to disable traction control all together. And given the enormous amount of power of the RS-46, I haven't dared disable traction control for more than one or two short adventures. At normal driving speeds and under normal loads, the RS-46 is very quiet. 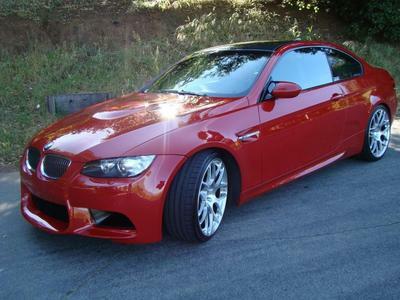 It really seems quieter than the stock M3. However, when you step on the gas, an enormous roar comes from under the hood, and out the exhaust. The car is so quiet when driving normally, and so nasty and "growly" when accelerating under full throttle, that I've been afraid to get pulled over for excessive noise when I really hit the gas. If 1/4-mile Drag racing is your thing, then the RS-46 might not be the car for you (without some racing rubber). The extra torque makes it nearly impossible to accelerate without breaking the tires loose. I tried a few times to use my BMW Performance steering wheel to perform a crude 1/4-mile measurement. Most times, I would just spin the tires when I launched. But a few times I managed to get great launches, only to have them ruined by breaking the tires loose during hard acceleration. So without some racing tires, I think it will be nearly impossible to get a good 1/4 mile drag time (at least with me driving). 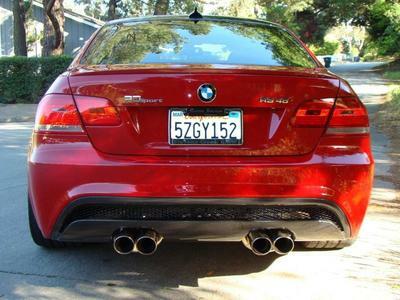 The M3 is enough to turn heads already, but with the M3 badge removed and replaced by "RS 46," and the RD Sport body kit installed, the RS-46 changes the car to have some mystique about it. People wonder and ask "what is it?" They ask "what is RS-46?" People stop me on the street, and want more information. I prefer a modest looking car, one that is only known by the people who already know what it is. For example, I prefer people who see the "RS 46" and already know what it means. I want them to think "OMG, there's that car I saw on the internet." But people who don't know it...I prefer to keep it a secret from them as well. Regardless of how unique, powerful, and gorgeous the RS-46 may be, I'm still left wondering what it will take to place on the podium in one of the many car shows I've entered. In a few of them, it seemed like the only cars on the podium were those which were built from the parts made by the sponsors of the events. But in a recent show, I didn't detect any such nepotism, and scores of people opined that my car should "easily" make first place. Regardless, the car has never placed a podium finish; and this has left me wondering what it takes to get it there. On the way home from one recent event, I was joking with the RD Sport guys, and we agreed about one thing: add some cheesy air scoops, and an ugly, and badly fitting carbon fiber hood, trunk, and other pieces, and the car should sail to the top of the podium. 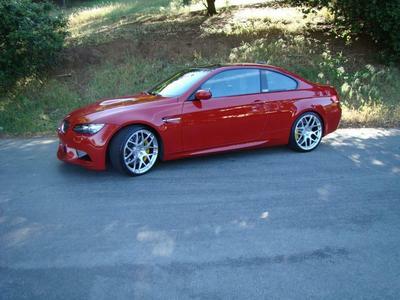 And if I also added a color ring around the wheels...that should put the RS-46 over the top and make it "Best of Show." But alas, it's not my style. I prefer modest elegance and to build a unique car that only a few people "in the know" will appreciate. So I'm probably doomed never to make a podium finish in any car show. The video below shows a brief history of the RS-46 stroker motor project on my car. All of the images and audio before 2:06 on the video, were taken from my car before the addition of the stroker motor. Once you see the "stroker motor start" up near 2:06, all other a/v images are taken from the stroker motor. Disclaimer: The video does not contain any racing footage of the RS-46 in action. 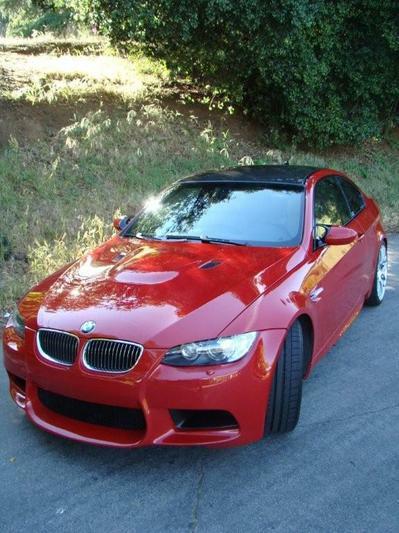 It's just contains spirited driving, and never going more than a few miles per hour over the speed limit. No endangered insects, cows, pigs, or any other animals were hurt during the making of this video. And remember, your Prius IS my carbon offset. The RD Sport RS-46 is more than just a stroker motor on a crate; it's a complete package which includes installation. MSRP is not cheap, and a stroker motor is not for everybody. But for somebody with the financial means to do it, and who wants an uncompromising naturally aspirated high horsepower motor, then the RS-46 is a must-have. The motor came from the factory with 103.5 hp/liter; the RS-46 is a no-holds-barred naturally aspirated motor producing nearly 115 hp/liter. As one friend who's driven many M3's and other exotic vehicles said: "the "RS-46 is the motor BMW should have put in the new M3." This is the stroker motor to get for your M3. M3Post user ND54 was the first to sign up for the RS-46 motor, followed shortly thereafter by four others, myself included. The project and results seem to have generated enough interest, that the sales of the RS-46 aren't limited to the five of us. As of today, two others have signed up. In a few months time, they will discover what those of us driving the RS-46 have already discovered: we transformed our ordinary BMW M3's from a monster, to an animalistic BEAST of a car. This page contains a single entry by PencilGeek published on May 3, 2009 11:13 AM. Dynapack Dyno Results: RD Sport RS-46 Stroker Motor (424whp, 342wtq) was the previous entry in this blog. 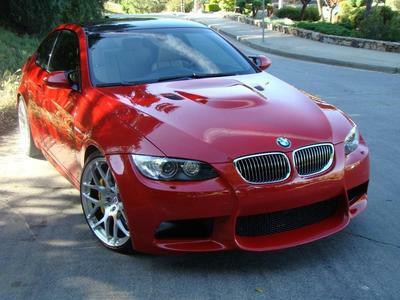 Video: RD Sport S-46 V8 4.6L BMW M3 Stroker Motor Visual History (530hp, 425 ft/lbs) is the next entry in this blog.